Since 2008 we have been attending to Holandês Dairy´s varied design and communication needs. A long partnership in which we have been seeing increasing responsabilities while the company has been benefiting from increasing sales. 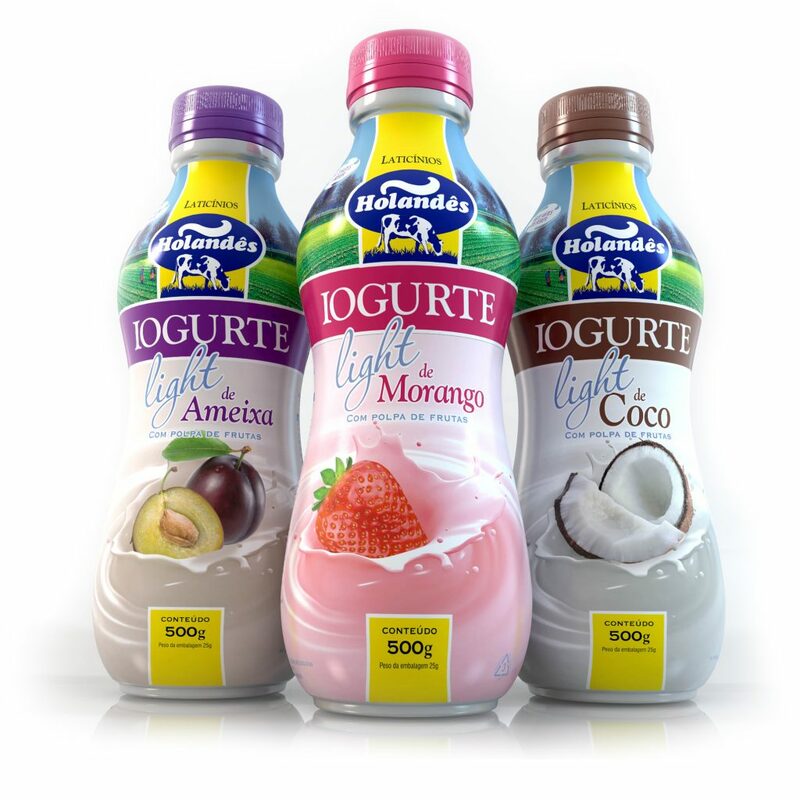 This time we created the packaging design for the light yogurt line: strawberry, plum and coconut in 550 ml and 1l packages. A light product needs to communicate the consumer it is tasty, with the advantage of being less caloric. We used beautiful images of the ingredients, with each fruit surrounded by a splash of yogurt. The composition, colors and elements of design were strategically disposed to enchant consumers. The 500ml bottles received sleeve labels. Pouches for 1l were flexo printed with the same visual pattern. 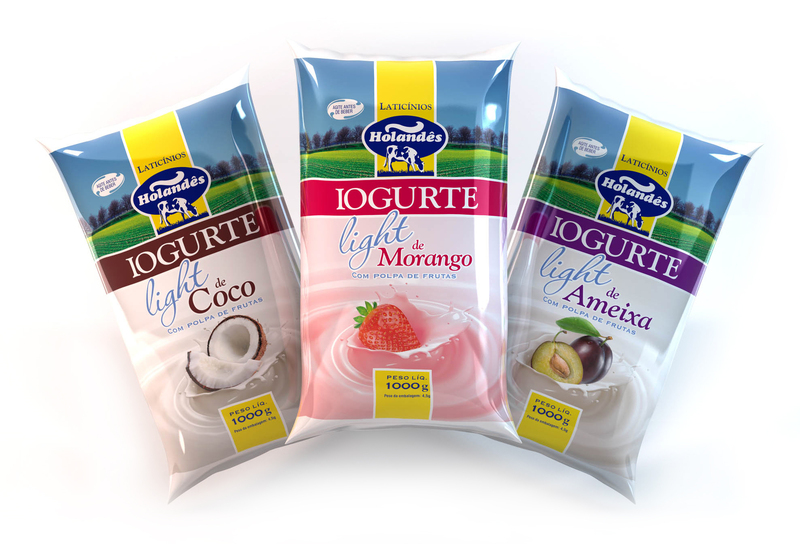 The yogurt packaging design for Holandês Dairy resulted attractive and stimulating, greatly standing out from competing products. We also created a website and a digital media campaign. As a result the company improved brand recall.